El Pueblo is saddened but not shocked to hear that ICE arrested over 30 employees in a targeted raid in Sanford yesterday as well as multiple individuals who are reported detained in Wake and Mecklenburg counties. 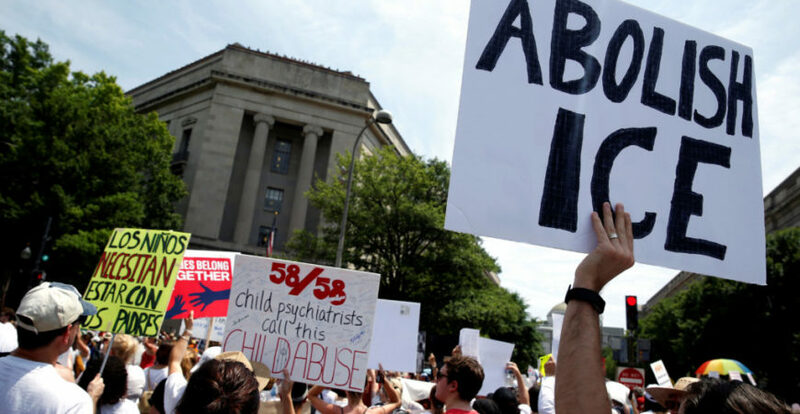 ICE has little to no regard for the wellbeing of individuals and the financial, mental and physical health of their children and loved ones. Students came home from school yesterday to find themselves without a mother or father, with a strong possibility that they may never see them again. We join dozens of grassroots organizations and nonprofits across the state in urging our state and federal representatives to demand an end to Immigration and Customs Enforcement, as we stand in solidarity with immigrants who have been targeted in an unfair and unjust system. If anyone in your family has been detained in Lee or Chatham counties, contact El Vínculo Hispano de Siler City at 919-742-1448 (If they do not respond, please leave a message with your name and telephone number). El Pueblo is Looking for a Contract Graphic Designer!